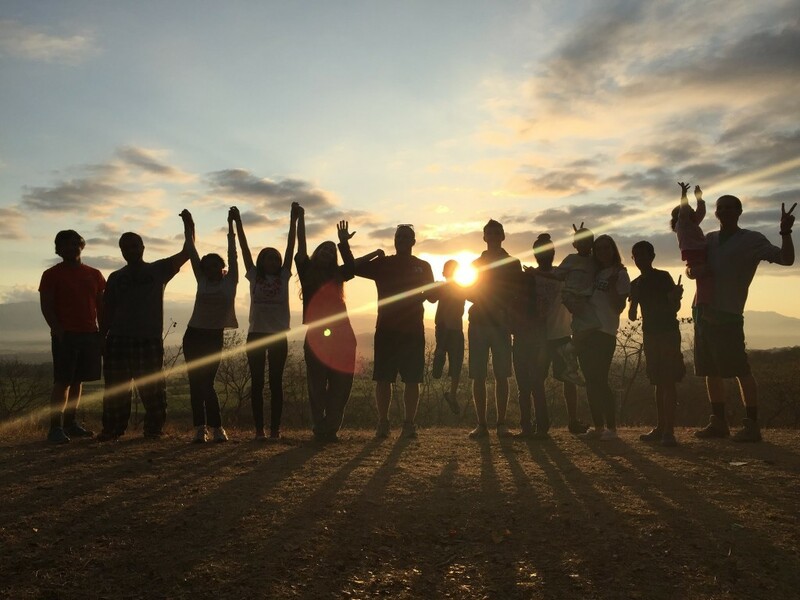 I participated in an Engineering Service-Learning course through OSU where we traveled to Honduras over Spring Break 2015 and implemented sustainable engineering solutions for an orphanage. Montaña de Luz (Mountain of Light), is an orphanage for children with HIV/AIDS. Founded in 2000 as a Hospice, the orphanage has now become a loving home providing hope for these children thanks to the availability of anti-retroviral medications. Located an hour and half to the East of Tegucigalpa on top of a mountain overlooking a valley of small towns and sugar cane fields the mountain of light is a refuge for children who desperately need the specialized care, nurturance, healing and love provided to them in this refuge from a world where AIDS is stigmatizing. Our class had three student teams that worked on different projects. The Water Team installed bio-sand filters at the orphanage and conducted water quality tests in an ongoing effort to bring clean drinking water to MdL. Currently, MdL pays for bottled water which ends up costing them a lot of money every year. The Drip Irrigation Team installed a drip irrigation system which will help to start a vegetable garden to provide MdL with fruits and vegetables. I was on the Electrical Team and we rebuilt a backup generator by scavenging parts from another generator of the same model which was in a much worse condition. We scoured the neighborhood and local shops for parts and rebuilt the fuel system of the generator and made electrical repairs to the alternator. After adding some fuel, the generator worked! 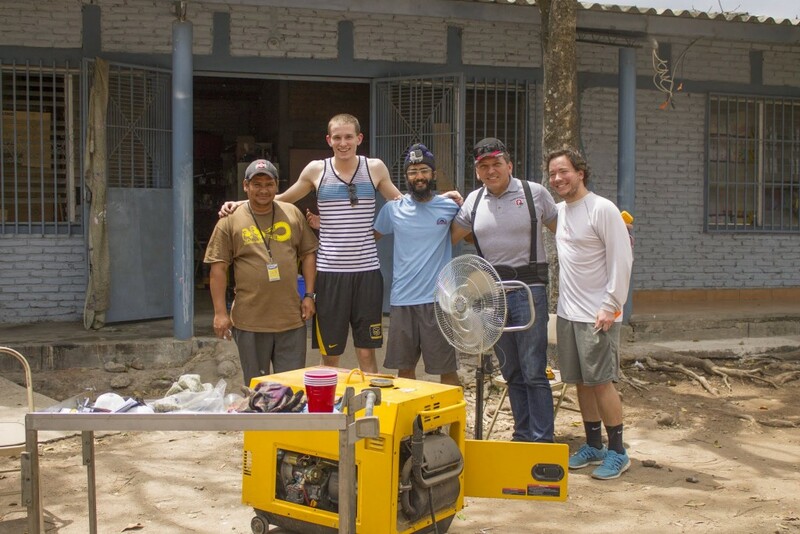 Then we worked on integrating the generator with the electrical grid of the orphanage, specifically the kitchen. We installed a new circuit box and created a three way switch hooked up to the generator which provided backup emergency power to the kitchen to help preserve food and anti-retroviral medicines for the children. 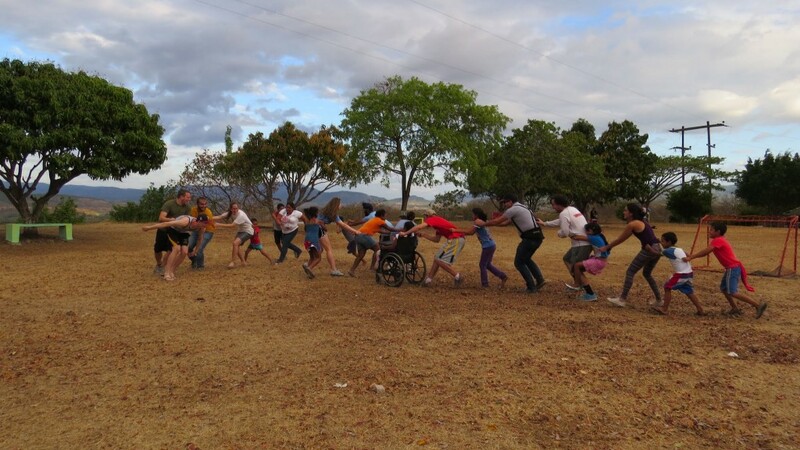 Honduras gave me a chance to apply what I had learned in school to a real world problem. We had to repair a generator which we knew almost nothing about and then we had to integrate it with the orphanage’s electrical grid. I’ve never undertaken a project of such magnitude before. But once we were successful, I was immensely satisfied that our hard work was going to affect other people’s lives in a positive way. This experience reaffirmed that I was on the right career path and that Engineering was the correct field for me. My time in Honduras also showed me that there is so much more to life than getting a job and making sure you can work 40 hours a week. I had been struggling with my plans for the future, even though I was doing really well in school and had good internships. I was focused on my career and not paying enough attention to whether it would actually make me happy. Then I met the long term volunteer at the orphanage Dr. Chris Ratcliff. He spent a lot of time and money in obtaining a PhD in Electrical Engineering. He spent years working on silicon conductor research in a dark basement. But today, he is a volunteer at the Montana de Luz orphanage in Honduras and is focusing on sustainable agriculture to provide healthy food for the children. Why would he make this decision? If you were to visit the orphanage, you will understand immediately. The children have difficult lives, they are struggling with one of the worst diseases to afflict humanity, HIV/AIDS. But if you look at their glowing faces and bright smiles as they run around the yard playing football or midnight tag with ring lights on their fingers, they look like the happiest human beings on the planet. I think Chris realizes this. To him, a well paying job working in a fancy laboratory or teaching at a prestigious academic institution doesn’t hold a candle to when he picks up little Erik and puts him on his shoulders. The bright joy that lights up his face is evidence of this. It’s never too late to do what makes you happy. At the end of the day, it wasn’t the Engineering aspect of the experience that gave me the most joy. Without access to our cellphone or WiFi, we developed very strong connections amongst ourselves as we lay in our hammocks at the end of the days and talked about life, sang songs, played music, and pranked each other. Every day we played football and other games with the children. We made ice cream with them. We ate so many delicious foods and shared a truckload of watermelons. Those dazzling smiles created an instant bond despite the language barrier. The sense of community I experienced was the biggest thing I took away. I will use the problem solving and technical engineering skills I learned in Honduras and apply them throughout my career. I will take the time to connect with those around me and take a break from the constant distraction of the internet to instead have real, meaningful conversations with a purpose. I will become a strong contributor to my community and give back as much as I can in the form of physical and mental service. Whenever I face any obstacles in life, I will remember the smiling faces of children facing a life-threatening disease and overcome those obstacles in stride. Honduras taught me to live more with less, be a part of people’s lives, and to do what makes me happy. For me, this will definitely involve using my technical skills to work on projects involving a huge service component. Over 10 days, I made a lot of new friends, learned so much more about the important things in life, and played a lot of football. This is an experience I will cherish forever. Posted by Ishmeet Grewal at 10:32am Posted in Service-Learning & Community Service and tagged 2013-2014 Participant, Service-Learning & Community Service. Bookmark the permalink.